Assam: Thousands of e-rickshaws ply on Dhubri roads, only 114 legal? 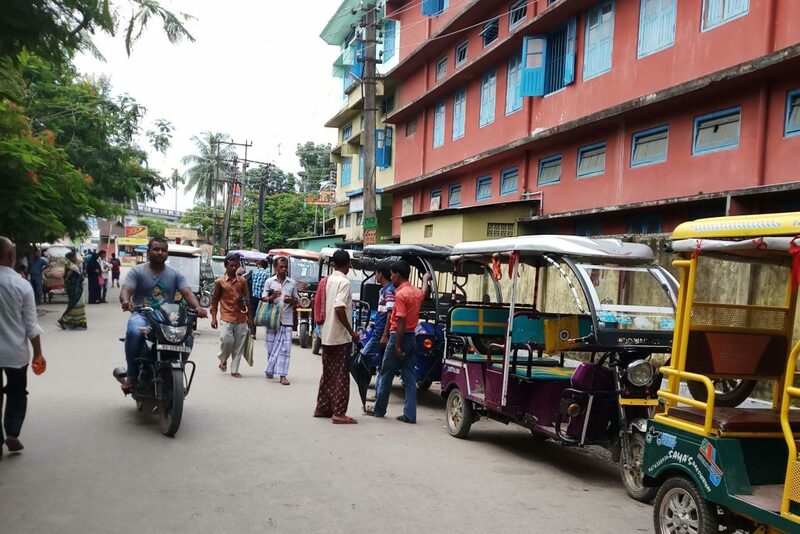 Only 114 e-rickshaws have so far been registered with the District Transport Office, Dhubri whereas more than 3000 battery-run auto-rickshaws ply on different roads of Dhubri district regularly without any obstacle from any law enforcement agencies. These slow-moving vehicles, maximum of which are running illegally have not only disrupted the easy movement of pedestrians but also created the overall traffic snarl within the town areas. “Most of the drivers of these unregistered vehicles even don’t have any driving licences and despite it, they are plying the vehicles on town roads throwing the lives of the peoples at high risk,” claimed locals. The local people here have alleged that the vehicles are still plying only due to the utter negligence and lack of monitoring by the authorities concerned. Throwing all norms to the wind, these e-rickshaws and battery-run auto-rickshaws seem to be having a free run on town roads as the traffic police and officials of the Transport Department have failed to keep a check on them. Maximum of the e-rickshaws and battery-run auto-rickshaws can be seen plying without number plates and ferrying passengers well beyond their capacity. The DTO, Dhubri said he has instructed the dealers of all such vehicles for not to sell a single vehicle without registration but despite that, it has been observed that the dealers are rampantly selling such vehicles, particularly e-rickshaws by violating the existing rules of the Transport Department. However, the district transport authority has assured that the department would launch a massive drive to curb the menace of illegal movement of unauthorized vehicles soon. On the other hand, sources said the ban could not be enforced mainly because of involvement of many ruling party men and law enforcement agencies are directly involved in transport business.